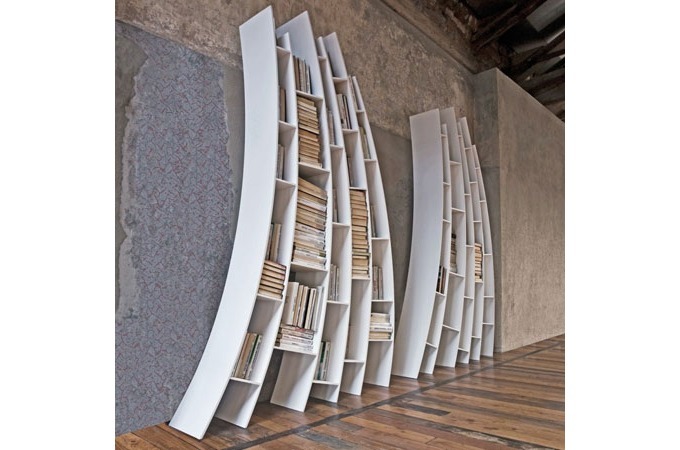 Italian design company, Saba Italia, have created some beautifully sculptural bookcases to liven up any wall in your home. Not only are they aesthetically pleasing, with a wonderful sense of movement and line, they are also, more importantly, functional and user friendly. 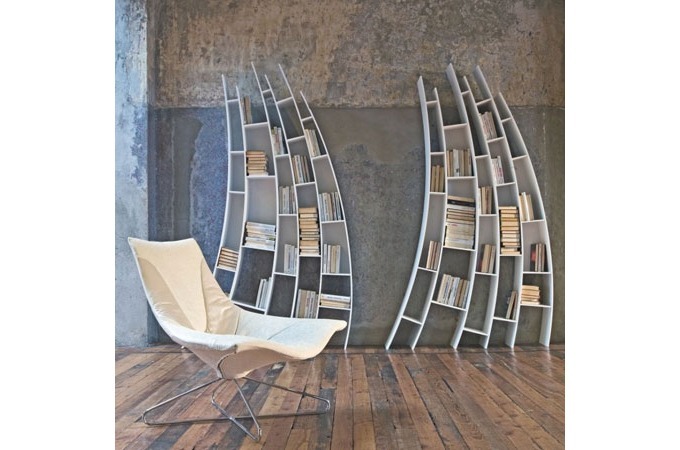 If you want to put your Gatsby or Sun Also Rises in something, why not these amazing bookcases from Saba Italia? 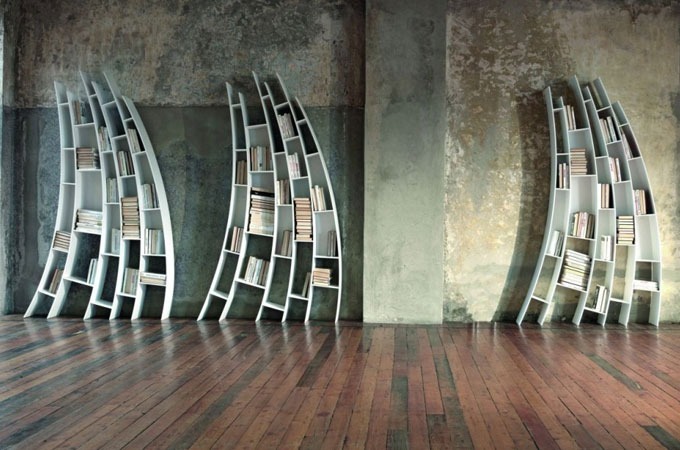 Normally I don’t mind my bookcases to be straight upright, but if you live in a wide-open industrial-like space, these are amazing.